It’s the beginning of the year, your schedule is still relatively empty and you’d love to sign up as a volunteer before things get busy. Sound familiar? Read this to help you get going. 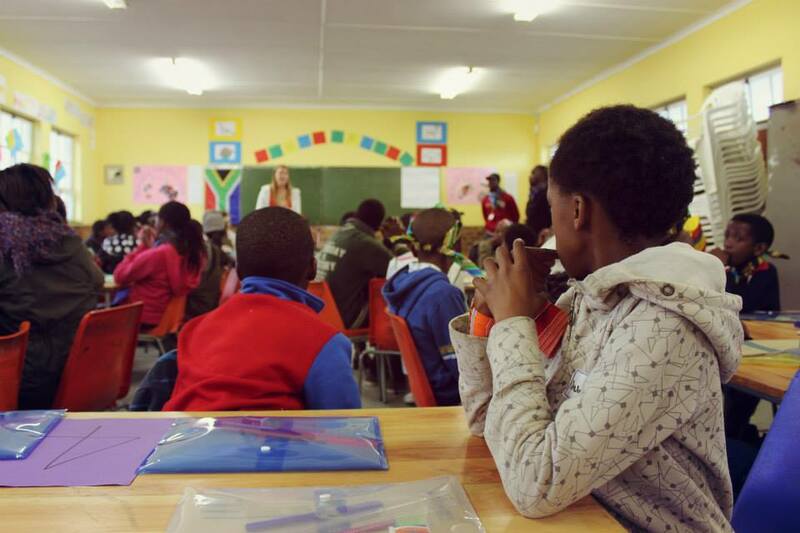 Volunteers teaching maths during Winter School 2013. Not a maths bof? There are loads of other ways to volunteer! Volunteering is a great way to give of your time and talents, get to know people from diverse backgrounds, and learn about some of the issues impacting our city. But when it comes to choosing what to do, it can be overwhelming, daunting and sometimes downright scary. Where do you even start? First up, it’s good to realise that volunteer opportunities are not one size fits all. What your best friend enjoys to do might completely drain you, whereas something else might become the best part of your week. God has wired each of us differently so a good place to start is by taking the time to figure out what’s a good fit for us. Thankfully, there are so many opportunities available that there is something for everyone – even if it takes a bit of digging to discover! Are you a people’s person? A behind-the-scenes person? A kid person? A definitely-not-a-kid person? Knowing what you like and what you don’t like is a good first step in helping you narrow your options. 2. What causes interest you? Is there a specific cause that is close to your heart? Maybe you’ve always wanted to care for vulnerable children? Or maybe you’re passionate about improving education? Or have a desire to serve those living on the streets? If your heart feels tugged in a certain direction this is often a helpful indication of where you’d best be suited. 3. What skills do you have? Whether its maintenance know-how, legal expertise, or a talent for sewing, there’s a good chance that you have a skill that could be just what an organisation needs. Skilled volunteers are always highly sought after so why not list some of your skills and then look for an opportunity where you might be able to use one of them. Think carefully about your time availability and when it would be best for you to serve. Are you only free weekends? Or week day nights? Are you available once a week or once a month? Are you looking for a once-off commitment or a long-term opportunity? Knowing when you’re available and for how long will help clarify which options are open to you. 5. Do you want to volunteer alone or in a group? There are a number of opportunities like tutoring literacy or reading bedtime stories where you will be facilitating one or a few children, for the most part, on your own. These are great if you prefer smaller groups but if you’re more of a people’s person, then you might enjoy getting a group of friends or your small group to do something together like a fun day or maintenance event. Think about which scenario would best suit your personality. Once you think you have a good idea of what you’re looking for, why not browse the opportunities available on our website? You can browse by congregation or by partner/initiative. Have any more questions? Email us and we’d be happy to help you.